We are grateful to Steven John from West Wales War Memorial Project for allowing us to reproduce his work. 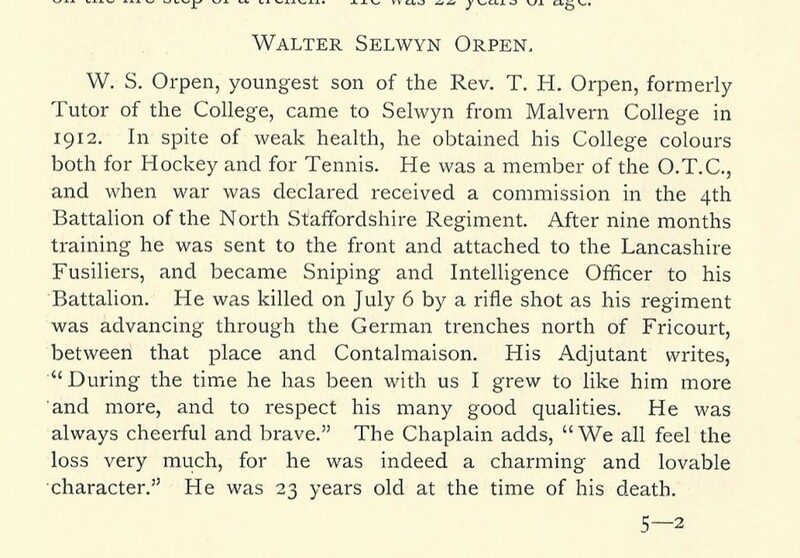 “Walter was born on 20 July 1893, the Youngest son of Reverend Thomas Herbert Orpen and Mrs. Amy Octavia Gwyther Orpen, the sister of Lady Philipps of Picton Castle, of 5, Herschel Road, Cambridge. 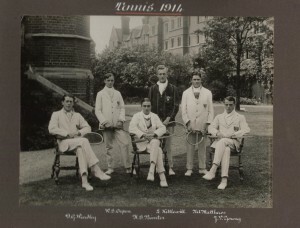 He was educated at Malvern, and at Selwyn College, Cambridge where he had completed his second year when war was declared. He was then in the OTC and was gazetted to the North Staffordshire Regiment in September 1914, before being posted to the 2nd Battalion, Lancashire Fusiliers.